To my credit, I didn’t dismiss out of hand my future wife’s plan to pit-roast a whole hog at our wedding reception. I just had a lot of questions. Like, for starters, how does one pit-roast a hog? And where do you get a whole hog? Luckily for us, swine abound in rural Iowa, as do folks capable of pit-roasting them to perfection. My spouse-to-be made short work of these and other objections to her plan, and away we went with what turned out to be easily one of the five most memorable meals of my life. Pound for pound, it was one of the most cost-effective meals of my life too. Setting up a simple country buffet, rather than a more elaborate meal, was the linchpin of our relentless drive to reduce wedding costs. Reasoning that a cheaper reception might bode well for our marriage, we did our best to trim costs elsewhere, but our food and drink menus drew the lion’s share of our efforts. We considered most of the ideas on this list, followed through with several, and wound up hosting a memorable reception that didn’t break the bank. You can too. Try these strategies to reduce the total cost of the stretch between the end of the ceremony and the official start of the reception. It’s not as tacky as it sounds. BYOB doesn’t mean “bring your own flask,” after all — though you’ll probably look the other way if guests do pull out their flasks, as long as they’re not making a scene. Post or send out a recipe for a signature cocktail that guests can pre-mix themselves and bring to share. Set a theme for your cocktail hour drink, such as craft beer, and encourage guests to bring their favorite examples of the theme. Use a shared spreadsheet — or your preferred organizing tool — to organize a drinks potluck, in which guests bring a variety of drinks to share. These are examples only; your BYOB cocktail hour can look however you want it to look. Tap a keg from your favorite local brewery or cidery. Hand out recyclable champagne flutes and break open the sparkling wine. Offer your venue’s house wine or purchase your own lower-shelf red or white in bulk. Pre-mix a signature cocktail, perhaps you and your spouse’s favorite. Your guests’ tastes won’t be uniform, so don’t agonize about choosing a drink that pleases everyone. White wine might be the safest choice since many drinkers avoid beer or hard liquor and some guests might be reticent to knock back cocktails before dinner. Nowhere is it written that wedding cocktail hours must feature cocktails — or any alcohol at all, for that matter. Whether BYOB flies at your venue or not, keep the booze locked up until dinner. In the meantime, mix a signature mocktail — perhaps your favorite cocktail, sans liquor. At many weddings, cocktail hour’s primary purpose is to keep guests occupied while the wedding party poses for photos. If you can get wedding photos out of the way before guests show up for the ceremony, there’s no need to draw out cocktail hour. Indeed, if the reception and ceremony take place in the same location, there may be no need for a formal cocktail hour at all. Don’t break out the serious appetizers until guests are seated for dinner, or at least in the room where dinner will be served. At cocktail hour, whet their appetites with a variety of bar snacks, such as nuts, pretzels, and dried fruit. Those who partake will probably eat less during the official appetizer round, keeping your wedding’s food costs in check. These tips could reduce the cost of appetizer service at your wedding reception, whether you’re passing out apps during cocktail hour or waiting until guests sit down in their dinner seats. Why not crowdsource your appetizer options? In your wedding invite and on your wedding website, invite guests to sign up to contribute homemade — or store-bought — apps of their choice. This is a more manageable twist on the crowdsourcing theme. Instead of gifts, ask each member of your wedding party to make their favorite app (or an app you assign) for the reception. The same guidelines apply here. Since you’ll have fewer contributors, take extra care to confirm sufficient supply; depending on party size, each contributor might need to make 50 or 75 servings to ensure every guest can try more than one item. If the entire wedding party is available the night before the wedding, consider hosting a cooking marathon in a low-cost commercial kitchen near the venue. It’s common for houses of worship to rent out their kitchen facilities for nominal fees, for instance. Forgo the kitchen altogether with a selection of relatively low-cost store-bought apps, like crudités trays, pita and hummus, and cheese plates — sans exotic or fancy cheeses, which quickly add up. Put colorful fresh veggies on skewers for maximum visual impact, tapping guests to help if extra labor is necessary. Arrange multi-part apps in recyclable wine glasses or champagne flutes, rather than on disposable plates. Break out old family recipes for sauce and topping ideas. Type up cards to label dishes and origins, especially for unique or locally sourced ingredients, such as cheese. Cut the servers and pomp from the appetizer equation and have guests help themselves to their own apps at well-spaced stations. You’ll encourage mingling this way too. As long as it’s not sweltering outside, offer a hearty, locally appropriate soup option to fill guests up before dinner. Creamy clam chowder or savory tomato bisque is far cheaper per serving than seafood ceviche or Caprese salad. Visually attractive appetizer ingredients, such as in-season vegetables, are often cheaper than drab fancy alternatives. In summer, a colorful garden salad sourced from your local farmers’ market will almost certainly cost less than a two-toned shrimp cocktail or monochrome lamb skewer. It also looks equally fancy. Replacing costlier ingredients with colorful alternatives — for instance, swapping out lump crab meat for diced mango and peppers. Follow these tips to cut the cost of your wedding reception’s dinner service. This is probably the single most important thing you can do to reduce the cost of your reception dinner, and it doesn’t require much effort. Simply call the venues you’re considering and ask whether they allow outside food. If venues that require in-house catering tell you there’s no wiggle room in their policy, then eliminate them from your list. You don’t need an encyclopedic knowledge of ingredient pricing or availability, but it can help to have a general sense of the cost of various types of fish and vegetables, cuts of meat, and common sides. The more you know about the per-serving costs of individual ingredients and fully composed menu options, the better equipped you’ll be to negotiate menu pricing or swap out costly items in favor of cheaper alternatives. This is especially important if you’re building your own menu from the ground up, rather than choosing from a handful of choices presented by your caterer or venue. Here’s a bold idea: Why not skip dinner entirely? Instead of a formal, seated dinner service, break out heavy apps during the cocktail hour and keep them flowing until toast time. One wedding that’s always stuck with me followed a hybrid app-and-dinner strategy. They kept the apps going right up until they served a single-course, modestly portioned dinner that was far less memorable than the app round. Clearly, the idea was to get guests full enough that they wouldn’t care about the skimpy dinner; I certainly didn’t. If skipping dinner is too bold for you, at least consider skipping the meat. Most animal protein is expensive, particularly the fancy types and cuts wedding caterers push, such as filet mignon, prime rib, lamb, and sea bass. Swap out these pricey proteins for hearty vegetables and plant-based proteins such as tofu, seitan, Portobello mushroom, eggplant, and cauliflower. Use artistic presentations and complex sauces and dressings to keep things interesting. If you go the “build your own” route, set up at least two double-sided stations so that up to four guests can serve themselves the same ingredient at once to reduce bottlenecks. Elevate your buffet service by setting out simple, themed serving stations with one or two items. It’s a sensible, visually engaging way to segregate guests who prefer, say, chicken or pulled pork to those seeking out grilled tofu or eggplant. Just be sure to label stations clearly and optimize station placement for flow; you want every guest to have easy access to every station and to avoid bottlenecks to the extent possible. 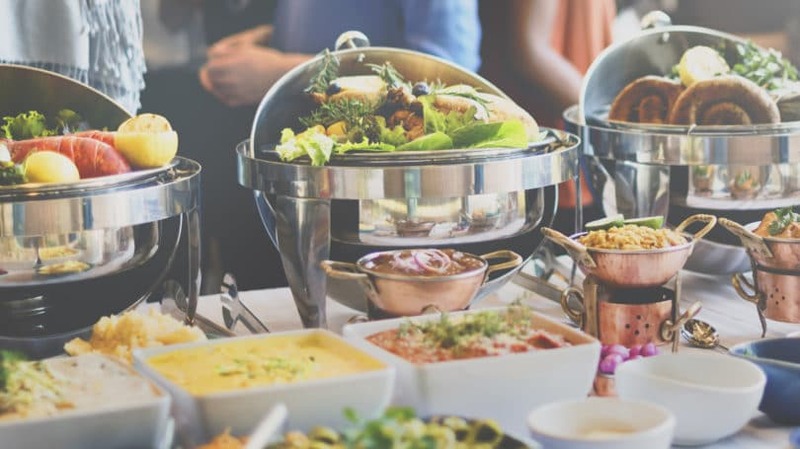 If you’re not a fan of buffets, or you’re wary about traffic, consider reducing labor costs for dinner prep, plating, and service by serving family-style meals. Family-style service means seated guests serve themselves out of communal dishes placed on their tables — an instant conversation starter and an opportunity for portion control. If you’re set on traditional dinner service, limit the menu choices to two: one vegetarian (or, ideally, vegan) option, and a low-cost meat option. Limiting the choices reduces prep and plating costs as well as the likelihood of service errors. For your meat option, consider poultry instead of hoofed proteins; chicken is cheaper and more eco-friendly than beef, lamb, or pork. A stack of takeout pizza boxes on the wedding buffet may not be the most elegant visual, but it’s sure cost-effective. Besides, when push comes to shove, how many guests are really going to turn down free pizza? Rather than accepting pricey in-house catering or opting for a custom menu by an outside caterer, consider ordering bulk takeout from your favorite local restaurant. Takeout is a great accompaniment for casual daytime receptions, and for basic options like pizza, Tex-Mex, and sandwiches, your final cost should be well under $10 per person. With enough advance notice — a week or longer, most likely — most decent-sized restaurants should be able to accommodate catering for 150 or 200 guests. Fast-casual chains like Chipotle are safer bets and may be amenable to day-before or even day-of orders. Don’t pay menu prices without negotiating first; many restaurants are all too happy to charge less to move perishable product. If you decide to go this route, you can further reduce the cost by purchasing discount gift cards through Raise.com. We’ve alluded to this already, but count this as your official notice to swap out pricey cuts of meat — such as filet, prime rib, and lamb chop — for cheaper or non-traditional cuts. Well-marinated flank steak or sirloin tips are nearly as tasty as your basic filet mignon, at a fraction of the cost. Remember to do your research ahead of time so that you can counter your caterer’s suggestions with cheaper alternatives. I don’t think I’ve ever been to a traditional wedding without the obligatory wine service at dinner. Don’t get me wrong; I love wine with dinner as much as the next person, but I always thought it odd to compel guests still finishing their cocktail hour drinks to double up so early in the night. Why not break the mold and trust your guests to enjoy their cocktail hour drinks with dinner? 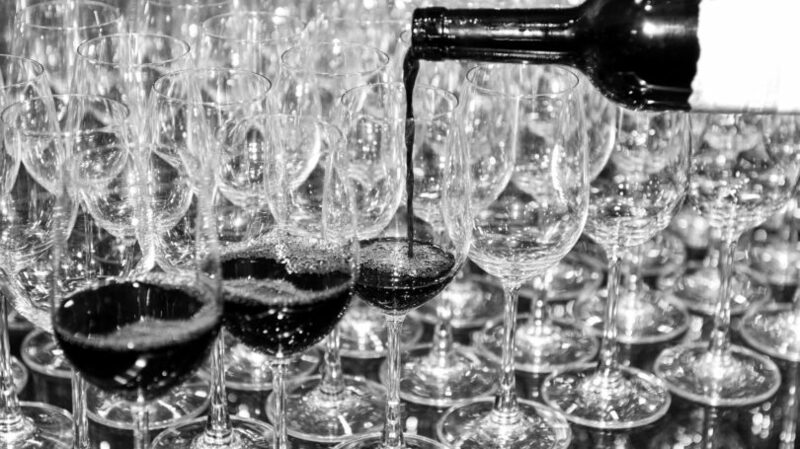 At four or five glasses per bottle, depending on the pour, even a modest-sized wedding’s dinner wine amounts to a case or more. Local, in-season menus may wind up costing less than luxe menus with ingredients sourced from the four corners of the world. They’re certain to be more eco-friendly, as well. Since local producers may not enjoy the same scale as industrial food producers, pricing isn’t guaranteed to work in your favor, but there’s no harm in checking this out in advance. Bear in mind that your local-only requirement may affect your choice of caterer; you may even need to purchase and prepare some menu items yourself using guests as labor. Compared with a take-it-or-leave-it main course, a six- or eight-course tasting menu means greater logistical complexity and higher prep costs. But smaller portion sizes and slower pacing may justify these drawbacks; if you serve less food overall, you’ll spend less on ingredients. Think of this as a creative alternative to heavy app-only dinners, with similar results. These ideas could reduce your final beverage service bill — a massive, often overlooked outlay for most nuptials. Most full-service wedding venues require the happy couple — or whoever’s picking up the tab — to pay by the drink, not by the bottle or case. If you can find a venue that does offer bulk pricing to parties pouring its own supply, jump on that deal. More commonly, some venues don’t require parties to pour house-supplied drinks. Such venues permit outside, bulk-bought booze, usually in exchange for a corkage fee — typically $2 to $5, sometimes more at high-end venues — charged on each bottle opened by bar staff. For single-serve containers, such as beer cans, corkage policies may be laxer; you might not have to pay to serve your own beer at all. Even after accounting for corkage fees, buying booze in bulk at your local liquor outlet will dramatically reduce your alcohol bill. My wedding’s total alcohol spend came in just shy of $1,000 — about $7 per guest, the price of a single open bar drink. Thanks to a couple of supplemental kegs of our friend’s signature homebrew, we had more than enough left over for an impromptu after-party at a nearby campsite. It helped that we chose a venue that didn’t charge corkage fees. If you can’t avoid corkage altogether, at least try to negotiate down the per-bottle cost, perhaps in exchange for a guaranteed minimum bottle count. Finally, if you don’t expect to be able to slough off excess bulk booze on your after-party, choose a retailer with a buyback policy — a commitment to repurchase or credit unused, unopened bottles or kegs. 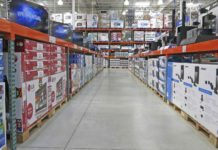 You may need to negotiate buybacks individually since retailers don’t always advertise them. Light beer and house wine generally cost less per serving than the sort of mid-shelf liquor you wouldn’t be embarrassed to serve your guests. Traditional cocktails, which may contain two or three 1-ounce liquor servings, are particularly pricey. If your wedding venue allows you to source your own alcohol, consider shopping at a warehouse store like Costco or Sam’s Club. Not only will you find better prices and bulk quantities, but you can save even more when you use the Ibotta app. In lieu of gifts, tap a few intrepid guests — or acquaintances you might otherwise leave off your guest list — to tend bar. Unless your cocktail list is complex, you don’t need certified mixologists to mix drinks, let alone crack open a beer or pour a glass of wine. Just make sure your arrangement complies with local regulations; servers will probably need to be at least 18 years of age and may need to have a pro forma safe-serve certification. For state-specific guidelines, contact your state’s alcohol control authority, which you can find on this list from the U.S. Alcohol and Tobacco Tax and Trade Bureau. If local regulations permit guests to serve themselves, or the owner of the private property hosting your reception is willing to assume all attendant liability, do away with bartenders altogether and allow guests to serve themselves. Nothing complements a casual daytime wedding reception like tubs of beer on ice and chilled, pre-mixed cocktails in spigot dispensers. If you plan to offer self-serve cocktails, be generous with non-alcoholic mixers. You’ll stretch your supply farther that way and encourage guests to nurse their drinks — a particularly important consideration for outdoor weddings in hot weather. Your signature cocktail needn’t be the only booze at your reception, but limiting non-signature options to beer and wine is the best way to control costs. I’ve been to plenty of weddings with partial open bars — that is, drinks might be free during cocktail hour, or for an hour after dinner, before a pay wall goes up. 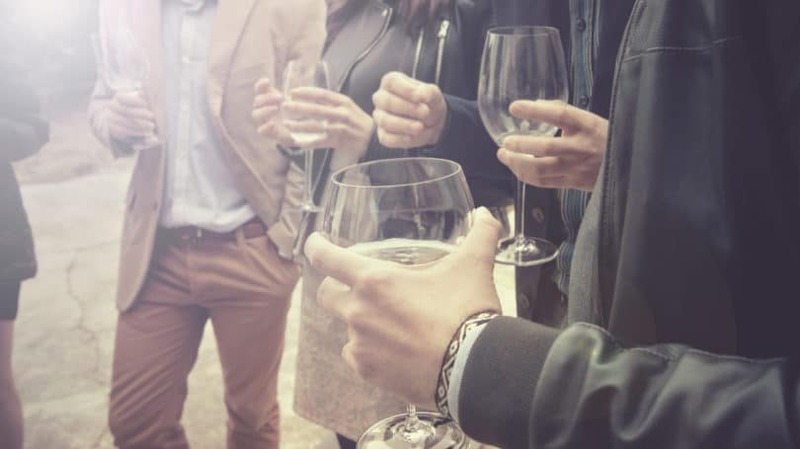 As long as you clearly communicate your open bar’s start and end times, your guests should play ball; many are likely to moderate their drinking as the reception goes on, anyway. This is an alcohol-free twist on the “signature cocktail” idea. Your reception doesn’t have to be completely dry; you can still have beer and wine for those not interested in your signature creation, and you can look the other way as your BYOB guests spike your mocktail. I remain impressed by the beverage selection at the only booze-free wedding I’ve attended. I’ve never seen more varieties of seltzer in my life, including in my supermarket’s soft drink aisle. I’ve also never felt better leaving a wedding — or the next morning. Depending on your families’ cultural and religious practices, a booze-free or booze-light reception might be appropriate anyway. Even if not, forgoing alcohol ensures guests leave early — ideal for daytime weddings at venues booked for a night session. And, if guests want to turn things up after your reception is over, there’s always the after-party, for which someone else is more than welcome to supply the booze. Use these strategies to cut the cost of dessert and cake service at your wedding. Here’s an unpopular opinion: Traditional wedding cakes are overrated. They’re also needlessly expensive. If you can clean out your local liquor warehouse on the morning of your reception, you can surely head next door to the supermarket and grab a couple dozen pre-baked cakes off the shelf. 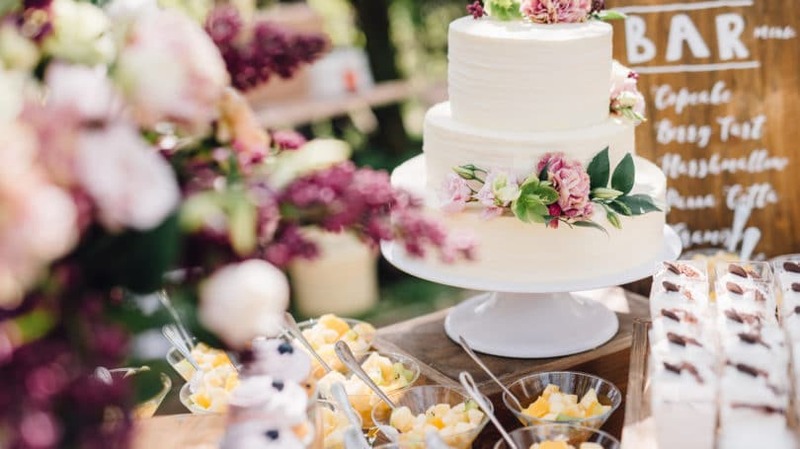 Cater to guests’ diverse tastes by choosing a range of cake types (such as carrot, ice cream, and sponge) and icing and filling types (such as chocolate icing, vanilla icing, and fruit filling). It’s your prerogative to commission a special wedding cake to cut as a couple in front of your guests. But why spring for a fancy — and costly — three-tiered cake when most of your guests will wind up with sheet cake anyway? Ditch the pomp and go with sheet cakes for all. If you can crowdsource elaborate appetizers, you can surely crowdsource desserts. In fact, since most of your guests are likely to have ovens big enough to bake a few dozen cookies or cupcakes at a time, your bring-your-own-desserts campaign may well get more buy-in. Simple, mix-based desserts are cheaper than scratch-made, protein-rich appetizers too. Should you balk at sending out an open call for dessert contributions, task each member of your wedding party with supplying a dessert of their choice. The best wedding desserts I’ve seen were varied displays with too many options for any single guest to try everything. When all else fails, exercise portion control. Reducing cake slice size by 10% reduces total ingredient costs by 10%, assuming there are no leftovers and no one asks for seconds. Who said a proper wedding needs baked desserts, let alone a traditional wedding cake? Have a member of your wedding party hit the superstore on the morning of your wedding for an assortment of crowd-favorite sweets to create a “candy bar.” Throw in your leftover Halloween candy, and you’ve got a budget-friendly smorgasbord to satisfy your sweetest-toothed guests. Try these general-purpose tips, many of which don’t directly involve food and drink, to further reduce the cost of consumables at your wedding. Most people want their wedding invites to stand out and look amazing. You can still get that custom looking invite without the huge price tag. Websites like Shutterfly frequently run great promotions that will help you drastically reduce your costs. There’s no way around it — more guests mean more mouths to feed and more drinks to pour. 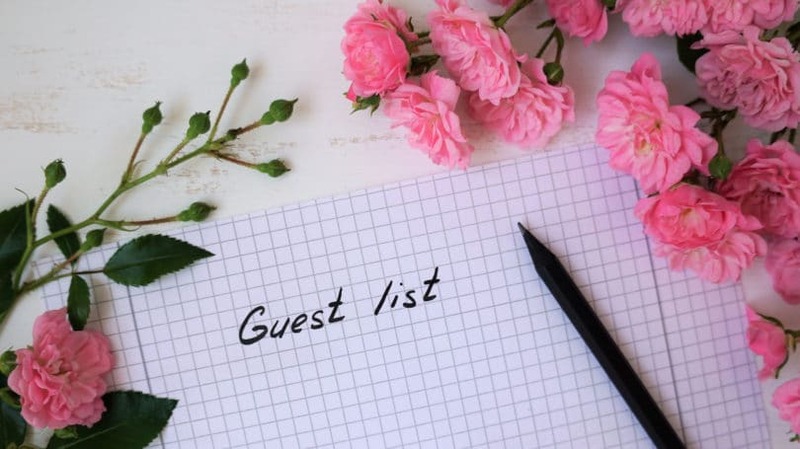 The surest way to reduce your total food and drink bill is to cap your guest list, even if it means making some tough choices about who to leave out of your big day. Use thematic food and drink menus that rely on fewer, cheaper ingredients to achieve economies of scale. A consistent theme may boost the appeal of basic or boring menu items; for instance, fried chicken is a lot more appealing as part of a coherent Southern-themed menu than as an apparent afterthought at the end of a long buffet table. Skip costly add-ons, which tend to be upselling opportunities for wedding venues, not true value-adds for knot-tying couples. Cake cutting is an egregious example; asking a couple of guests to slice and plate your cake achieves the same result at a much lower cost. The champagne toast is another costly add-on worth calling out specifically. On top of the substantial labor required to pour and measure dozens of champagne servings, the booze itself is incredibly costly — at least $5 per bottle for bulk-bought, bottom-shelf sparkling wine, and $5 or more per glass for venue-provided stuff. As memorable as your first wedding toast should be, the cost is simply not worth it. 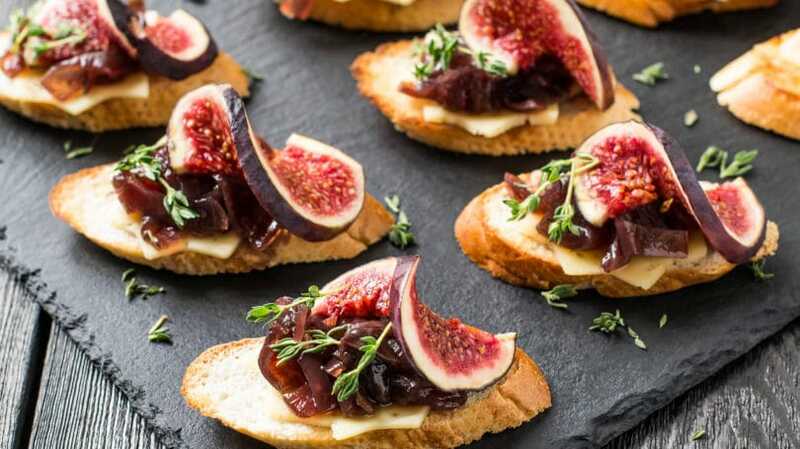 Toast with whatever you and your guests have on hand, instead. If you plan to use an in-house or outside catering service, don’t forget to ask for a youth discount. Many caterers cut kids under 12 a break; some particularly generous providers go all the way up to age 16. This is a valuable negotiating point. Once you find a caterer that cuts kids a break, use that deal as leverage to extract similar concessions from other providers you’re considering. Daytime weddings are cheaper than afternoon-into-evening gatherings on multiple counts. In particular, reception venues generally charge less for daytime events, as long as the party can clear out in time for the evening block. Daytime-specific venues tend to be cheaper still. A city park pavilion with a nominal reservation fee is a great place to take advantage of natural light, for instance. Even if you opt for a traditional start time, there’s no need to drag out the festivities. By shortening or doing away with cocktail hour and cutting off the dance music an hour or two after dinner ends, you can shave two to four hours off your wedding’s total run time, almost certainly reducing alcohol consumption in the process. For guests who want to keep the party going, there’s always the after-party — for which, to be clear, you don’t need to buy drinks or food. Even after implementing every cost-cutting strategy that makes sense for your special day, food and drink costs are sure to account for a significant share of your wedding reception budget. The good news is that the cuts needn’t stop there. 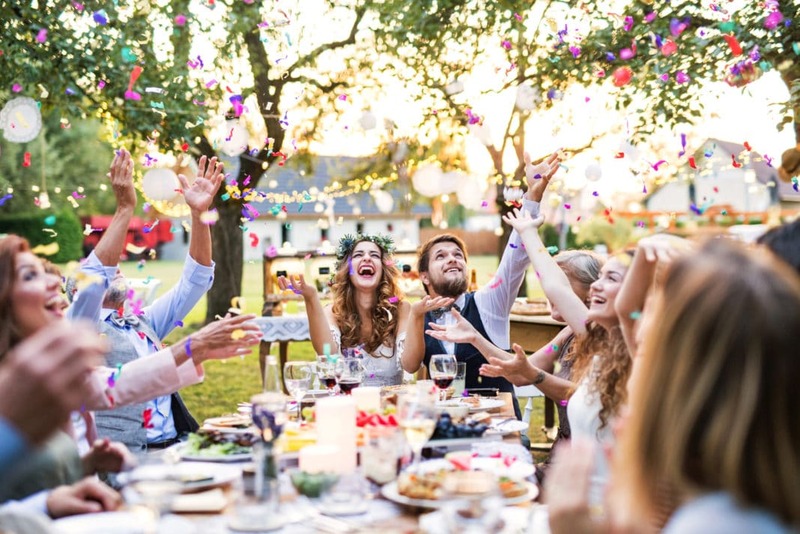 By simplifying or doing away entirely with other aspects of your wedding reception, you can further size down your wedding budget without adversely impacting the guest experience. For example, you can reduce your reception’s music costs, settle on a low-cost centerpiece alternative, and get creative with your wedding flower arrangements. Whatever you do, don’t let anyone tell you that the wedding of your dreams is destined to morph into a budget-busting nightmare. What are your plans to save on your wedding’s food and drink bill? If you’re already married, what tips did you use to reduce your wedding budget?